If you are one of those who check out videos on YouTube for tips on hijab styling or make up tutorial, you might have chance upon Amenakin . 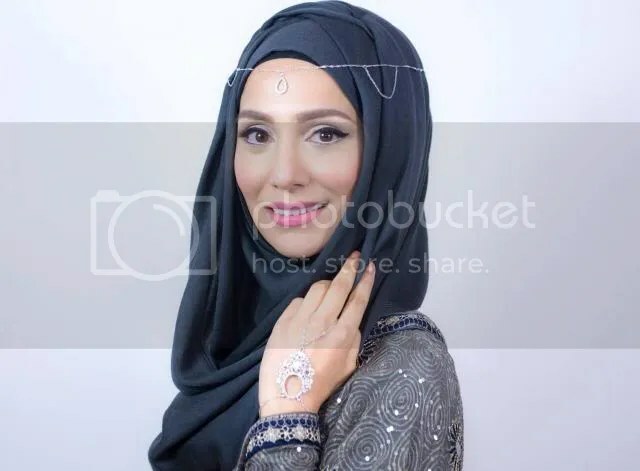 She is an entrepreneur who owns Pearl Daisy, an online hijab and clothing store. Amena is the current cyber trend among the Muslim ladies. She is also famous with Vlogs (Video Blogging) where she shares about her life and discusses about the current issues. Ladies around the world were influenced and encourage by her words of advise and discussion through her Vlogs. She has over 190,000 Facebook fans, 142,000 YouTube subscribers and 101,000 Instagram followers. When Amena came to Singapore a few months ago, she received overwhelming response from Singaporean ladies. Good news, Singapore fans, she will be coming back next month! This time, she will be here to celebrate the very best in Islamic Fashion and The arts with Aquila Style. 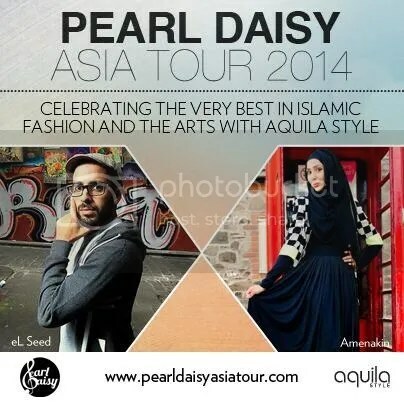 The Pearl Daisy Asia Tour also includes eL Seed, a Tunisian calli-graffiti artist, a fashion showcase by plus-size designer Jane Watson, Mediterranean-influenced designer Lulu Alhadad and many more.